According to the Centers for Disease Control, there are approximately 2500 cases of Listeria reported each year, resulting in about 500 deaths. Brown Chiari LLP are highly-reputable listeria food poisoning attorneys, dedicated to effective representation for individuals who have become ill due to Listeria, which is a food borne illness caused by contaminated foods. Pregnant women account for the largest number of incidents of Listeria in the United States. 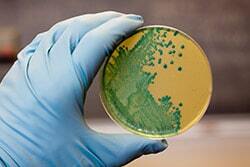 This illness is caused by Listeria monocytogenes, which is a bacteria that is found in soil and water. This bacteria is different from most others that cause food poisoning, in that it is capable of growing in cold temperatures such as that of a refrigerator. When you or a family member become ill due to foods or drinks that are contaminated, you deserve to be compensated for your suffering, as well as medical expenses that may be incurred. At Brown Chiari LLP, our food poisoning attorneys have successfully represented victims of Listeria related illness for decades, and we fight aggressively to insure that your claim ends in a successful verdict. The listeria food poisoning lawyers at Brown Chiari LLP believe that those who work in restaurants, day cares or other public places that do not take precautions when preparing foods should be held responsible. In some individuals, neck pain, confusion, loss of balance and seizures may occur due to the infection spreading to the nervous system. If you experience any of these symptoms, contact your doctor immediately. Food poisoning can have serious implications, especially in those most at risk. If you or a loved one has been made ill because of Listeria, contact us at once. Brown Chiari LLP is a team of experienced and knowledgeable personal injury attorneys who are dedicated to protecting your rights, and getting you the full compensation you deserve. Contact us for a free case evaluation. Results are our measure of success; we are ready to put our expertise to work for you.